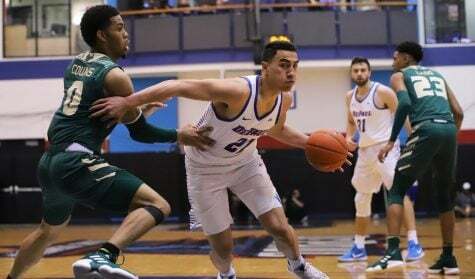 For the second week in a row, DePaul picked up a transfer Monday afternoon when North Carolina AT&T graduate transfer Femi Olujobi announced he would become the latest to join the Blue Demons. 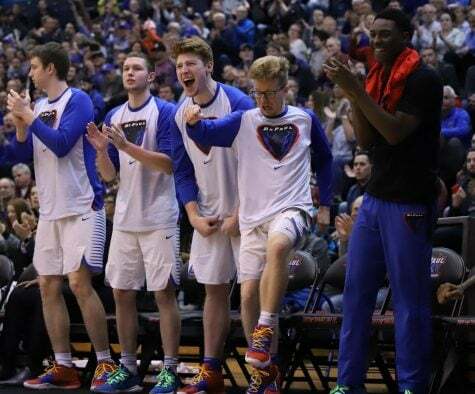 Olujobi pointed to the connection he developed with the coaching staff and current players during his visit as key reasons for picking DePaul. 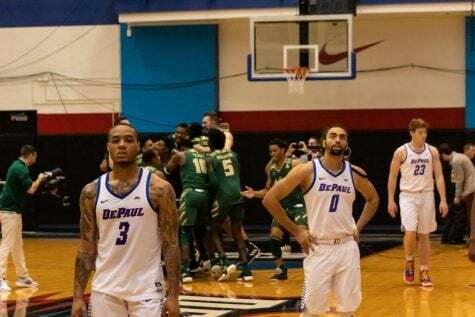 Olujobi also didn’t shy away from the challenge of helping DePaul, a program that has had six straight 20- loss seasons. 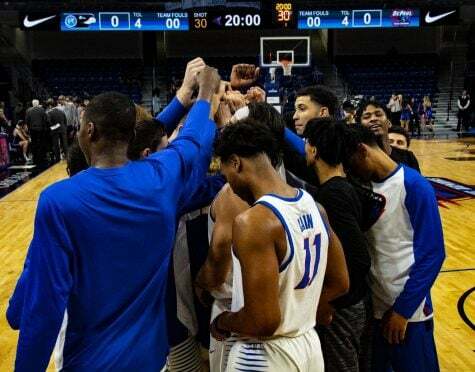 That’s similar to what he experienced at North Carolina A&T, where the team had just three wins during the year he sat out before a major turnaround saw them winning 20 games this past season. 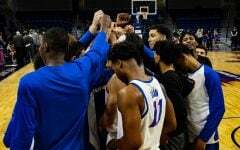 While he didn’t play during the disastrous season for A&T, Olujobi said he felt the pain, and he learned he has to focus on having a good mindset every day while being ready to work hard. From there, Olujobi said everything in terms of performance will take care of itself. 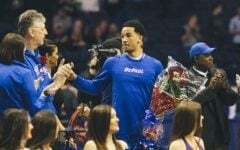 Although Olujobi has developed a good relationship with all the coaches on the staff, he communicates with DePaul head coach Dave Leitao on a daily basis. 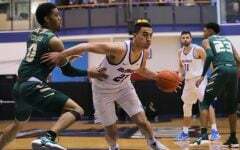 He says he admires Leitao’s personality and the way in which he treats Olujobi not only as a basketball player, but as a person. 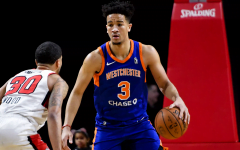 When he was walking around campus with Leitao on his visit, aside from feeling as though he was back in his hometown of Long Island, N.Y with the city feel, he was impressed with the support Leitao received throughout campus and how he embraced everyone around him. Olujobi chose DePaul over Georgetown, Butler and Hofstra, the other schools included in his top four. 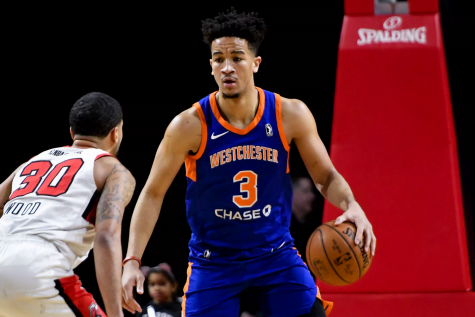 He will be immediately eligible and will help fill the void left by Marin Maric and Tre’Darius McCallum, who both graduated. 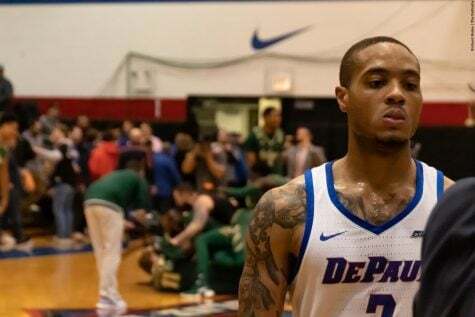 Olujobi said knowing the that the opportunity to play early was available helped in his decision to pick DePaul, but he was confident he would have earned playing time either way. Olujobi added that he knows how he performs will dictate his playing time but is excited to come in and earn minutes. 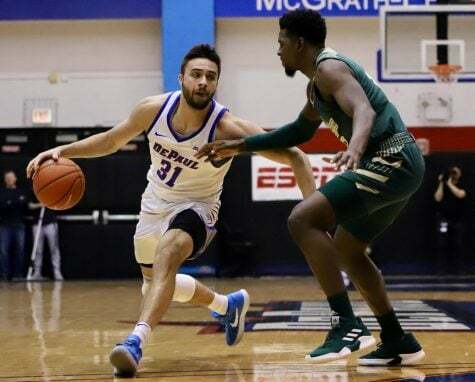 The Blue Demons will be the third school for Olujobi, who began his career at Oakland before transferring to NCAT where he enjoyed a breakout season averaging 16.3 points and 7.7 rebounds per game, while starting in 28 games. 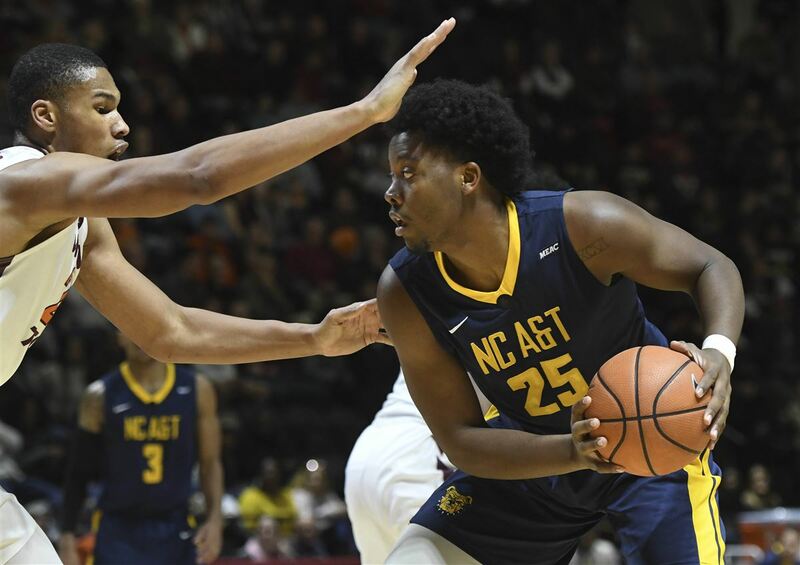 Jeff Mills, a sports writer at the Greensboro News and Record who covered Olujobi this past season, said one of the biggest reasons he saw for the breakout was simply the 6-foot-8-inch forward getting the chance to be on the court. Olujobi started fast averaging 21.8 points per game during conference play before becoming the focus of every team’s gameplan. Olujobi said he’s a willing passer, but had to learn early in conference play how to deal with double teams, while staying aggressive. Known for his rebounding and ability to score the ball, Olujobi said he is also just simply a competitor ready to do whatever it takes to help his team win. 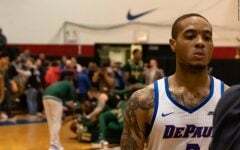 Heading into his final year of eligibility with the Blue Demons, Olujobi said his biggest focus will be being able to play with an all-out intensity during the entirety of when he’s on the court. 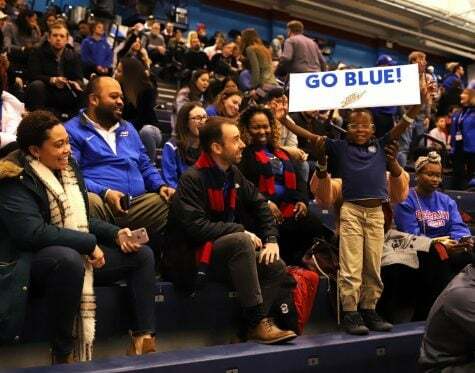 When Olujobi committed to DePaul, he talked about being ready to terrorize the Big East when he arrives on campus in mid to late June; five days later, the message was very similar. 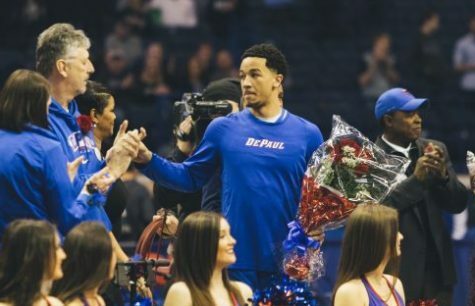 “I’m just ready to show them what DePaul basketball can do,” he said.